At next month’s MEF Global Forum (November 17th – 19th, San Francisco), we will be launching the 4th Annual MEF Global Consumer Survey which analyses the behaviours, attitudes and trends that are shaping the mobile industry from over 15,000 respondents in 15 countries. From Mexico to UAE and from Nigeria to Indonesia – here’s a sneak preview of 11 essential facts about global mobile trends from wearables & mHealth to mobile payments and The Internet of Things. 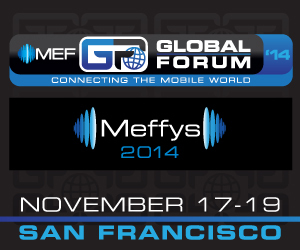 All of these topics and more will be represented at MEF Global Forum – as part of the Global Day’s regional tracks. In addition, the highlighted trends will be discussed at #MEFGF14’s Innovation Day which looks at the companies and technologies that are advancing consumer adoption of mobile content and commerce worldwide. The agenda also includes business matchmaking, networking and Meffys Gala Dinner. Use of wearable devices alongside fitness tracking and health & wellbeing apps is growing much more quickly outside of the US. 1. Consumers in Asia (63%) and the Middle East (52%) are more likely to be aware of wearable devices than their European (43%) or US (42%) counterparts.